Home/Uncategorized/Is Debt Consolidation Right for Me? Most of us would agree that having less debt is much better than having more debt. In fact, having lower balances correlates with having a higher credit score. There are a number of reasons that someone might consider consolidating debt. It definitely has its advantages. Debt consolidation can help you get out of debt and increase your credit score, but is it right for you? 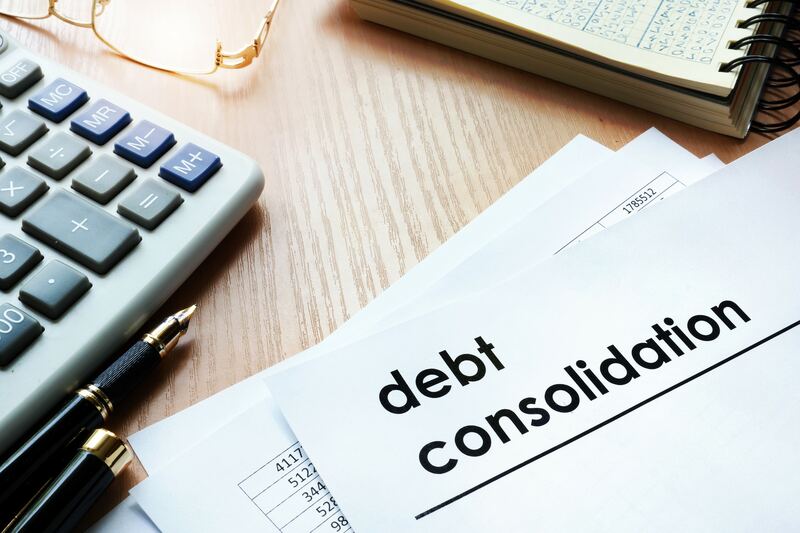 One of the main reasons people consider consolidating debt is when they have gotten in over their heads and want to make changes in their spending to get back on track. It can help simplify their payments, pay less interest, and allow them to make faster progress on their balances. However, if you fail to change the behavior that got you in trouble, getting a new line of credit is not going to change a thing and may even make things worse. ● Your total debt does not exceed half of your income. ● You have good enough credit to qualify for a loan with 0% or low interest. ● Your cash flow will consistently cover the payment for the debt. ● You have put a plan into place to keep from running up debt again. Debt consolidation may be a good option, for example when you have four credit cards with interest rates that range from 19 to 25%. Your credit is good, and you always pay on time. With that in mind, you may qualify for a debt consolidation loan with a percentage rate much lower than what you are paying for your other debts. ● Do the math on your credit cards and take into account their interest rates. Figure out how long it will take to pay them off at the rate you are currently paying on them. Compare that figure to how long it will take to pay off the consolidation loan. If you can pay down your credit cards faster, you should not consider the loan. ● Compare the cost of your monthly credit card payments and the payment of the debt consolidation loan. Are you already paying that much on your credit cards now? If the loan payment is higher, it may be time to just start putting more money into your credit card debts. ● If you pay off your cards, are you going to cancel the cards? If not, you are likely just going to run up the balance again and a debt consolidation loan will not accomplish anything. Knowing whether or not a consolidation of your debt is right for you can be confusing, but the attorneys at Cornwell Law Firm can help. We have years of experience dedicated to helping our clients get back on their feet financially and we can help you, too. Contact us today to schedule a consultation.